This WIP Wednesday is exciting because I just finished knitting my first glove EVER! It’s not as hard as I imagined, but I did have some trouble with having gaps in between the fingers despite what the pattern said about not having any. I just seamed them up using the cast on tails. I’m a little disappointed that the index finger is green while all the others are a shade of pink. You never know what you’re going to get with a variegated yarn like this so who knows what the second glove will bring. 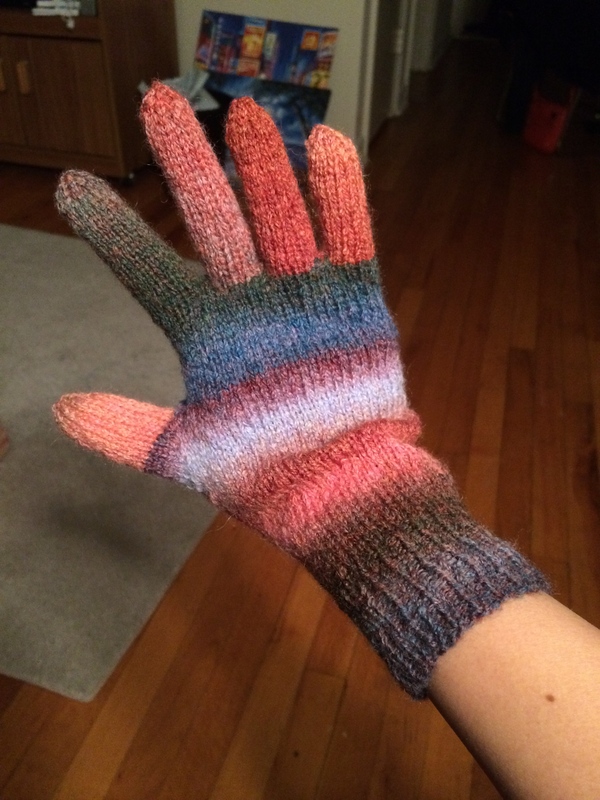 #nofilter I’m totally making a really cool gif while I make the second glove. 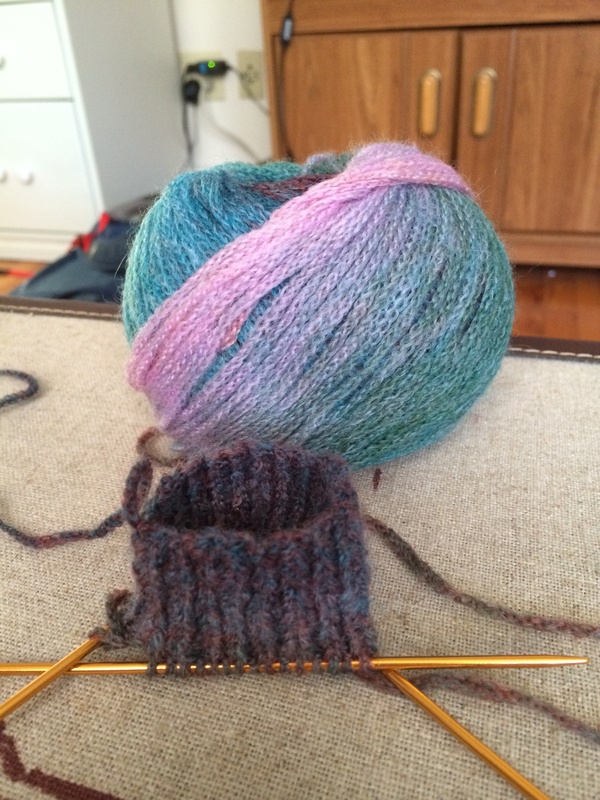 Snow days means you knit a lot. Yesterday I cast off a project, cast on a project, continued working a current project, and caught up on my Sky Scarf. For some reason, I don’t think the pattern for the edges was correct. 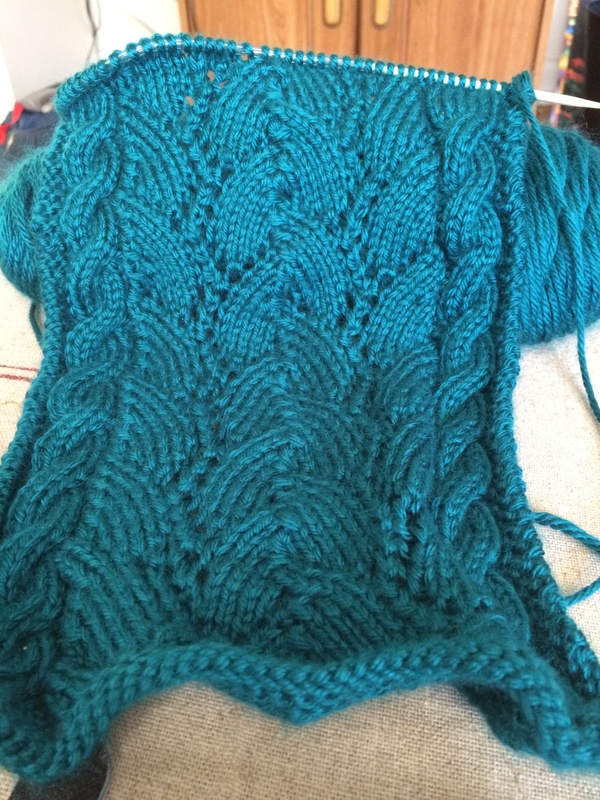 On one side I got a nice edge by slipping stitches and looked like just knits and the other side ended up looking like garter stitch. 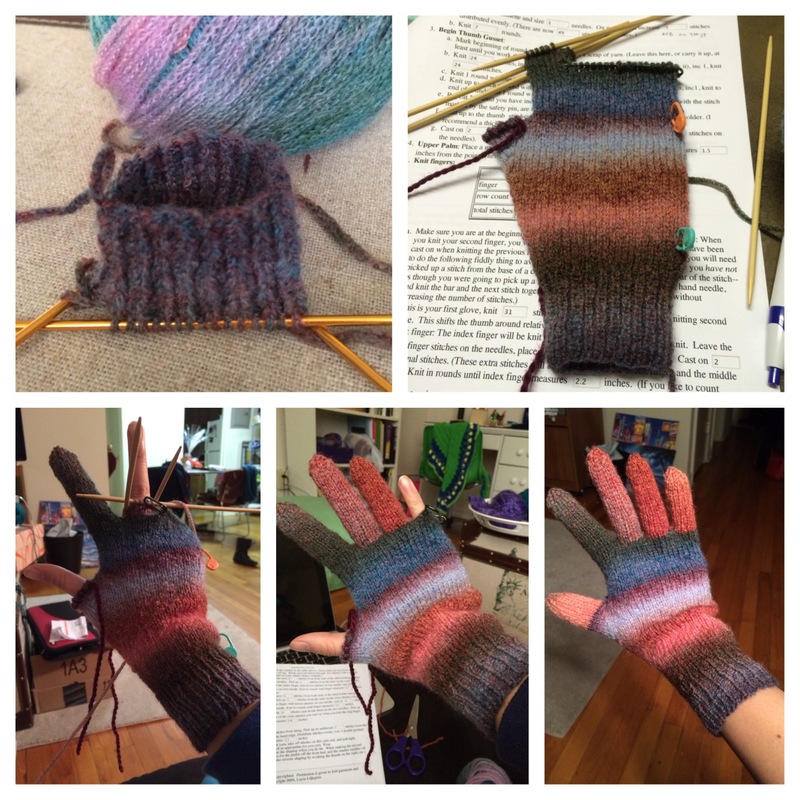 Cast on: My first pair of gloves – with fingers! 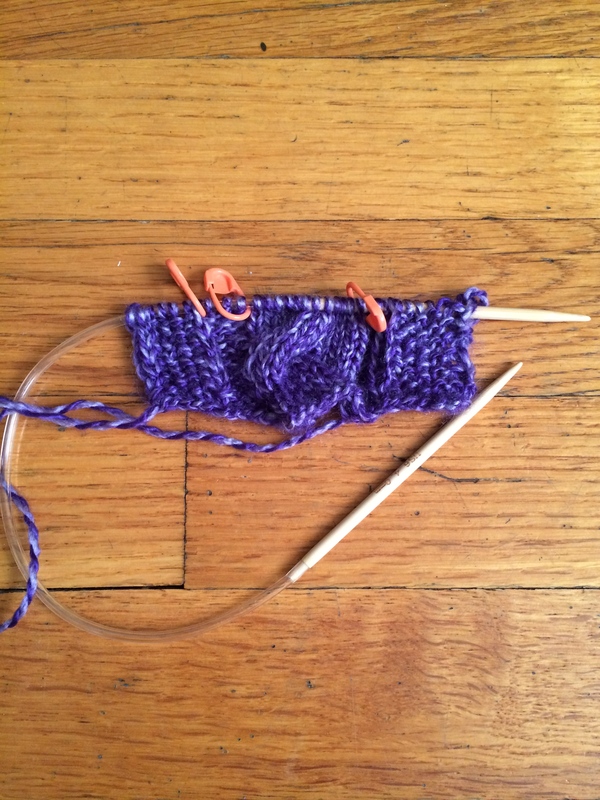 I’m using a gloves generator that customizes the pattern based on your gauge and size. And if you think it looks tiny for a 20-something girl, you’re right. I have tiny wrists and I’m making a children’s X-large because the adult X-small is still too big for me. I bought this yarn in Hong Kong at Filo Kilo in Mongkok. It’s super super soft and a brand from Japan. I can’t wait until the colors start changing. This has at most 5 more rows than the last time I had it on WIP Wednesday. I really should not have cast on another project but I really wanted to use my HK-bought yarn and I was getting tired of cables for a bit. WIP Wednesday gets hard when you have a busy day. 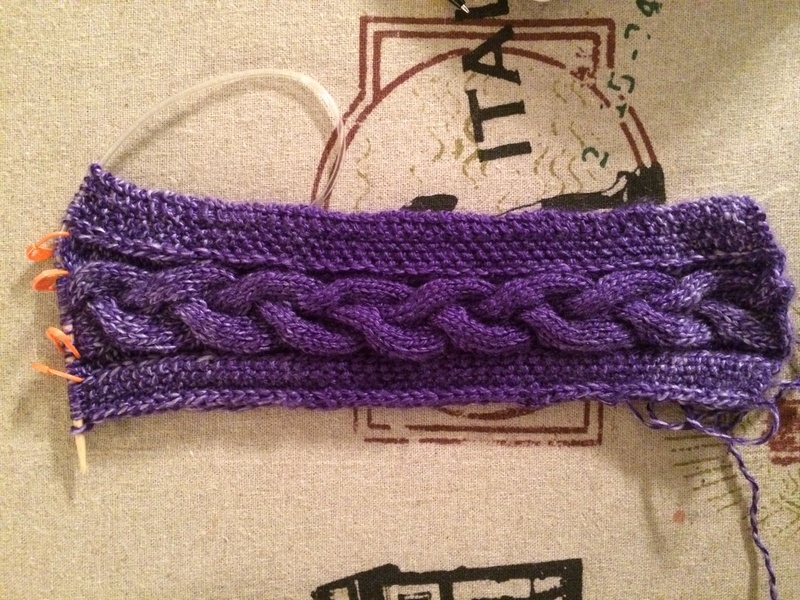 Some great progress on my headband but it’s probably not going to be done by the time my friend is going back to school so I’ll probably have to ship it to her. And I just cast on a commission for a friend. 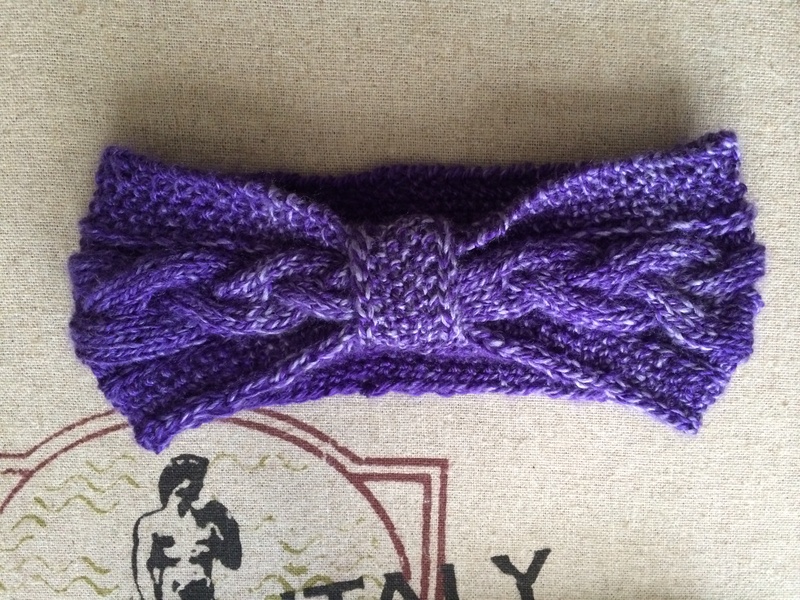 This is Cabled Winter Headband by The Haberdashery. 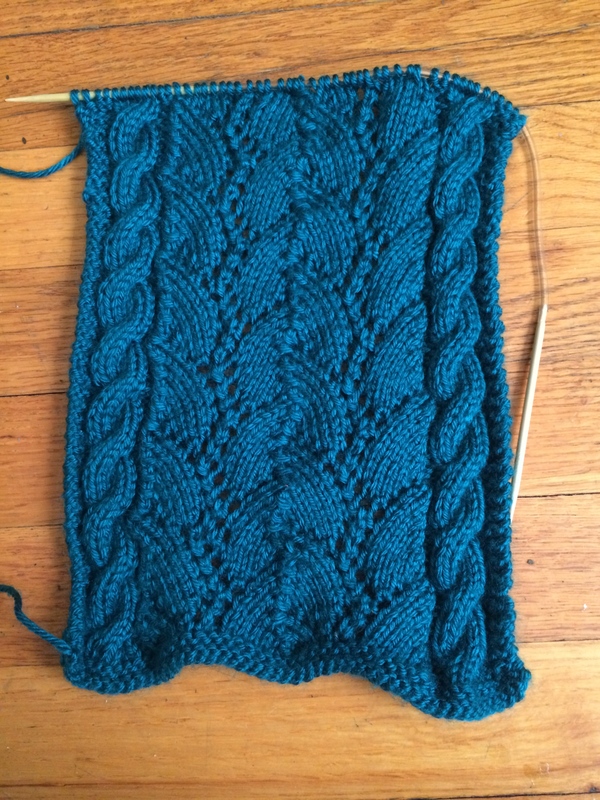 The pattern is a bit difficult to read because it’s meant to be customizable for different kinds of stitches, but it’s a little inconvenient to have to go back and forth from the main pattern and the cable pattern. It’s pretty easy to memorize, though. I think I’m going through a cabling phase.